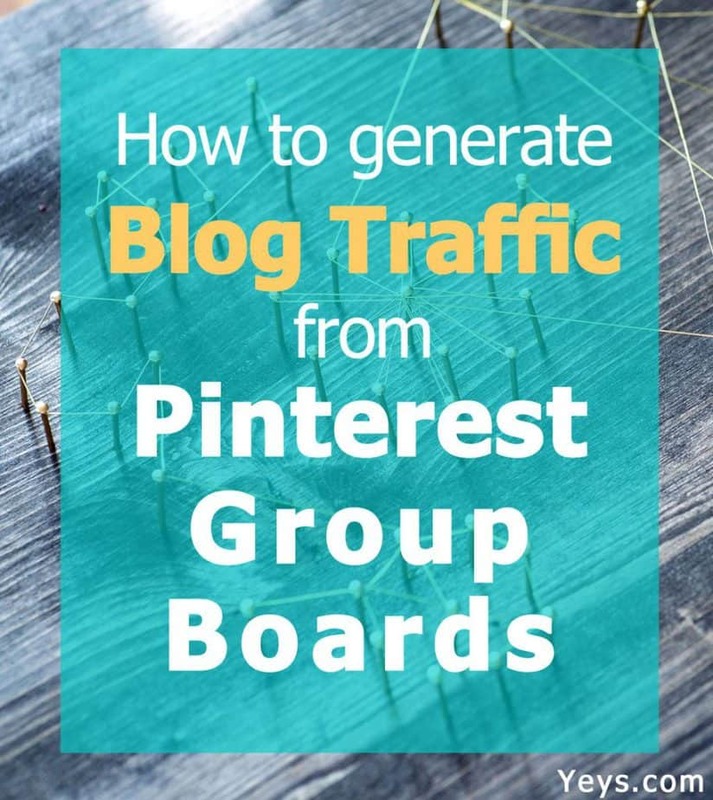 Pinterest group boards offer a way for bloggers to increase their traffic. They simply have a larger than average following and if you can join them as a contributor, you can put your pins in front of thousands and sometimes tens of thousands of people. I mentioned group boards a couple of weeks ago in my post about forming a Pinterest strategy for promoting my blogs. One of my goals was to join at least four group boards in September. I’ll be posting a report about my experiences with Pinterest promotion this month (they’re good!) but I can tell you already, I failed on the group boards traffic front. I waltzed into this unique arena entirely unprepared. Having read one or two blog posts, I plunged right into the deep water. It’s fair to say that I drowned. Not a single invitation came in. Time to regroup (pardon the pun) and focus on the do’s and don’ts of group boards on Pinterest. Today’s post is going to be all about Pinterest group boards traffic and how to get it flowing into your blog. It’s based on extensive research and reading dozens of blog posts on that very topic. I found a few real nuggets of great advice out there, so happy to share them here. Grab a coffee, this isn’t a short post. What are Pinterest group boards? Group boards are Pinterest boards where several pinners add on-topic pins. These usually draw in more followers, so if your pin gets up there, you’ll get more clicks and more traffic. Sounds good? It is, according to many a blogger. The problem is how to tap into that board groups traffic source and as is the case with all good things, it’s not easy. Your goal is to join quality on-topic group boards. The kind that will get your awesome pins in front of tens of thousands of users who will then click through to visit your site and also repin to share the awesomeness with their followers. The viral effect and all that jazz. Group boards provide you with one special ingredient in your Pinterest recipe: The ability to instantly reach a large number of people. It’s like using instant yeast for your bread instead of culturing your own sourdough. Find quality group boards in your niche. Get invited to said boards. Pin to the boards (without getting kicked out). Let’s break these into more manageable questions and address them one by one. How to find quality Pinterest group boards? 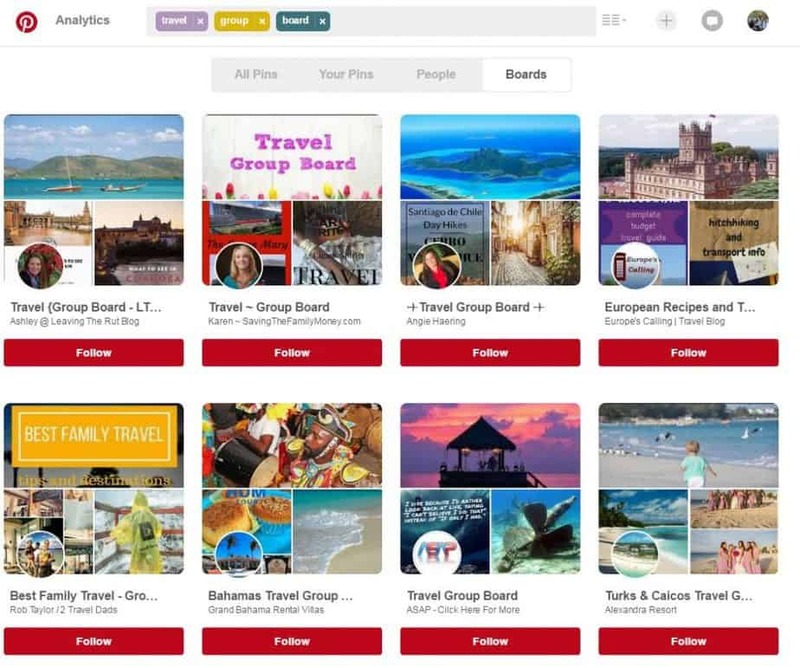 Pingroupie is a directory of Pinterest group board. They crawl Pinterest to find boards that have more than 2 collaborators, more than 250 followers and more than than 50 pins. When all three criteria are met, the board gets listed in their database. Their website says the last crawl was 3 months ago. You can search Pingroupie by category and keyword and sort the results according to the board’s size, number of repins and other parameters. Most bloggers recommend using this as your first tool for finding group boards in your niche. Not everyone does, though. Kara Gorski says that the days of Pingroupie are over and it’s no longer an effective tool to find the right group boards for you. My own impression is that it can still be useful for that initial comb-through but the results must be carefully assessed for quality. When you search Pinterest, you can switch between four types of results: All pins, your pins, people and boards. So, you can basically search for boards in your niche by entering the keywords. It used to be possible to see at a glance which of the boards were group boards, as the little group icon used to show up in the search results. This is no longer the case. As you can see, these are all group boards. Pinterest is indexed by Google, so in principle, that could be another tool you could use. It’s how Windy City Bloggers find their group boards. I haven’t had very good results with that. It’s doable but you have to comb through many results that aren’t actual group boards relating to your topic. This may be a good option in some niches, or if you’ve run out of boards using the other methods. a. Find the bloggers you like in your niche and track down their Pinterest profiles. b. Scroll down their list of boards and look for the group boards they participate in (they’re usually at the end). These would be your best niche group boards. Mariah Halthoff goes even deeper down the rabbit hole. Once she finds a good group board, she goes to the profile of that board owner and scrolls down to see which group boards they also contribute to… and so on, and so forth. Apparently, there’s a closed Facebook group for bloggers/pinners who are also looking for group boards. It’s recommended by SimplePinMedia. I haven’t tried it yet but it has several thousands of members so it looks promising. They have rules on how to join so read those carefully if you’re thinking of doing that. How to assess the quality of a group board? Now that you know how to find hundreds – maybe thousands – of Pinterest group boards, should you really try to join them all? A lot of followers – the more the merrier. A high number of repins (a sign of quality followers with an interest in the niche). How to ask for an invite? At this point, we have a list of quality on-topic group boards. How do we start pinning to them? Alas, to do that you have to be invited to the board. There are several ways in which you can try to get invited. 1. Read the blog description and look for instructions. If the blog owner is looking to get more contributors, they’re going to say that in the blog description and tell you how to contact them. Usually, they’ll have an email address you can write to. 2. Track down the board owner. Can’t find the instructions? You could try contacting the board owner directly. His or her Pinterest profile may indicate where you can find their blog which will probably have a contact form. You can also try finding them on Twitter and sending them a message there. If you already have a strong presence in your niche, you can try skimming through the list of contributors. You may find someone that you know. If the board allows for contributors to invite other contributors, you can contact your new bff and ask for an invite. There’s a trust factor here. These people need to really know and trust you because if they invite a spammer into the board, they’re putting their own place as a contributor as risk. Which is the best way? I prefer to work with boards that clearly state how you can join them. For two reasons. First, it’s less time consuming. You don’t have to spend time tracking down their blog or Twitter account. Secondly, if they don’t have a clear description on how to join, they probably aren’t looking for new contributors at this point. I’ve actually read an angry comment by a board owner complaining about people who bother her with requests via her blog/twitter. How to improve your chances of getting invited? Ahh, lots of tips and tricks here! At the very minimum you have to be following the board itself and the board owner. Technically, they won’t be able to add you unless you follow both the board and them personally. They probably won’t bother with telling you to – they’ll just ignore your request. It’s best to be following the board for awhile and show some level of involvement. Repin, like and comment pins. Try to interact with the board owner through pins, preferably by commenting. Make sure you’re responding to what the board owner himself/herself pinned recently and not just to pins by other contributors. Who you are, including a link to your Pinterest profile and the email address that’s associated with your Pinterest account. Why you’re interested in the topic of the board. The fact that you’re already following them and the board. If there are rules to pinning to the board, mention that you’ve read them and will be following them closely. That means you should send the email from the same email address that you used when you signed up for your Pinterest account. The board owner will be inviting an email address, not a user. If they end up sending the invite to the email address you sent the email from and that’s not the same as your Pinterest email address, you won’t be able to use the invite. 4. Have a great Pinterest profile. They’ll check that, so make sure your profile is ready to be inspected. What you need is a good username, picture, description and a list of beautiful active boards with lots of on-topic pins in the same niche as their group board. If you’re serious about getting Pinterest traffic, you should have those anyway. Having your own group boards means you’re a team player. You’re willing to manage a board like that yourself and reciprocate. Make sure the boards have some content and that the description includes clear instructions on how to join. Let’s say you got accepted. Hooray! You worked hard on getting there, now don’t blow this away. Here are some good practices to follow that will help you become a positive contributor and avoid getting kicked out. 1. Follow the board rules. If there are any rules that are clearly stated, follow them. Board owners don’t want to deal with editing and deleting pins. When someone breaks the rules, it’s easier to just kick them out. 2. Stick to on-topic pins. Read the board description and stick to it. Let’s say your niche is travel and you got invited to a board group about road trips in the US, don’t pin your general “advice for budget travelers” post there. Pins should be very specific to the board’s topic. 3. See what others are pinning and follow suit. Is the board all about beautiful pictures? No text on pictures, just inspiration? Pin similar materials yourself. On the other hand, if everyone else is focusing on detailed guides, or infographics, then stay in tune with them and add similar pins yourself. 4. Pin often but not too much. Find the goldilocks zone for that specific board. Some boards have rules about how often you should pin but even if they don’t, avoid flooding the board with your pins. 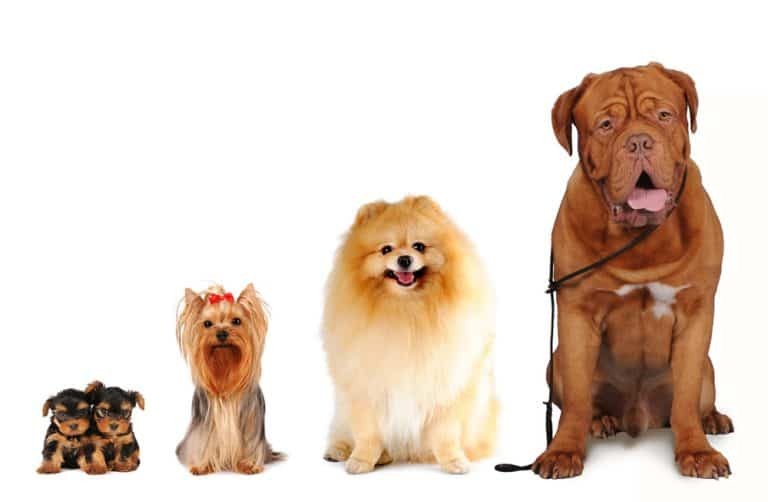 If you’re not sure, ask the owner what they prefer. Repin lots of great content to the group board and not just pins that link back to your blog. This is just plain good netiquette. Contributors are there to help create a rich and diverse board on the topic, not just to promote their own sites. Also, according to Brittney Llynn, the current Pinterest algorithm will penalize you for simply pushing your content onto group boards and leaving. Your pins will have a smaller chance of being seen by the board’s followers. There are several reasons for you to repin other people’s pins from the board, as Blog Ambitions explains. First, it’s helping other contributors which is basic good karma. 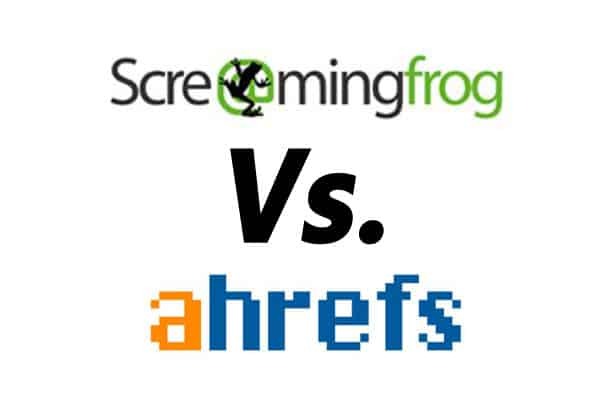 Secondly, the more repins the board has, the better its score in the Pinterest search algorithm. 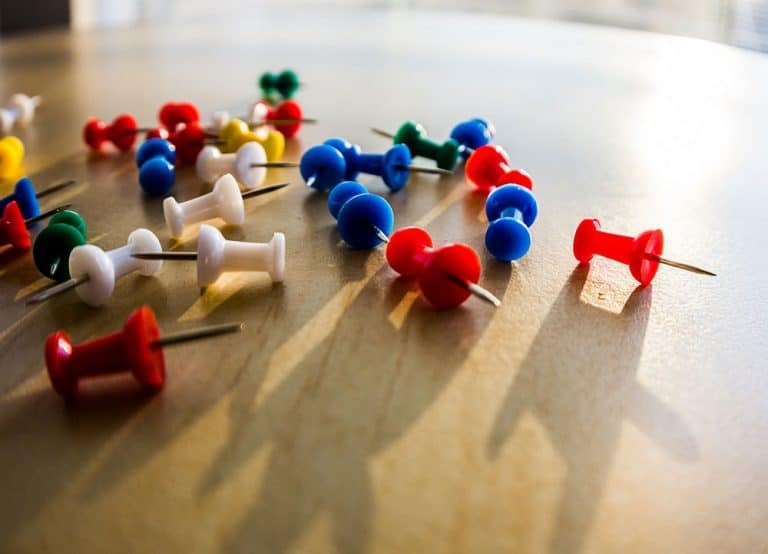 By repinning from the board, you’re helping to promote it – and that includes promoting your own pins too. I’m going to give this another try and be much more methodical this time around. So far, I just grabbed some boards off Pingroupie and mentioned in comments to pins that I’d like to join them. Zero response and now I can see why. It’s time to get more serious about this. As I mentioned in my previous post, this month I’m focusing on promoting my travel blog, so here’s the plan for getting Pinterest group board traffic to that blog. a. More than 5000 followers. b. High rate of repins. c. Owner has instructions about how to join (telling me he/she is actively looking for contributors). 2. Follow these boards and the board owners. 3. For one week, visit these boards daily, repin at least 2 pins from each one and leave at least one comment. Preferably, on pins by the owner. 4. Contact each of these board owners via email (as specified on their board) and ask to join as a contributor. In two weeks time, we’ll see how this pans out. Expect a report back from the trenches sometime in mid-October. Are you using Pinterest? Are you a member of any board groups in your niche? I’d love to hear about how you joined and what your thoughts are about the tips in this post! Don’t be shy, leave me a comment! So, how to promote a new blog on Pinterest?